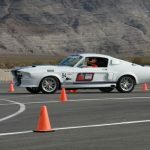 Earlier this month the Classic Recreations team ventured to the 2010 SEMA show in Las Vegas to make good on an announcement owner Jason Engel made a year before at the same event. 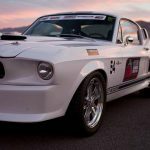 In 2009 Jason announced plans to work with Shelby American on the first series of officially licensed 1967 Shelby Mustang continuation cars. 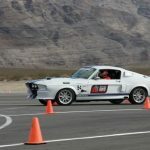 This year however both Ford Motor Company and Cobra Electronics invited Classic Recreations to display cars in their respective booths. 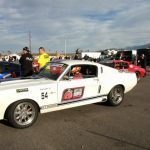 The car from the Ford display was also called out as an “Ultimate Street Car” when Optima batteries asked Engel to participate in the annual Optima Ultimate Street Car Invitational (OUSCI) track shootout and television show at Spring Mountain Raceway in Pahrump, Nevada, the Saturday after SEMA. 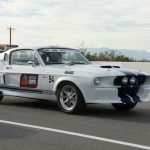 Both cars on display at SEMA were 545 HP performance models, one finished in classic wimbledon white and guards blue, the other featuring a two-tone gloss and matte black paintjob. 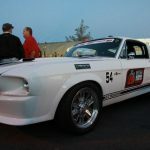 Both cars are powered by fuel injected, naturally aspirated, hand-built 427 cubic inch engines and feature Tremec overdrive transmission, modern coil-over suspension with rack-and-pinion steering, modern vented disc brakes, a custom handcrafted interior featuring Carroll Shelby signature seats, custom gauges, brushed aluminum trim, and five-point harnesses. 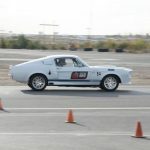 On the Saturday after SEMA closed, the white Shelby competed at the OUSCI in four competitions: autocross, road course, speed stop and engineering. As one of only three Fords in a field of 60 top-tier supercars, the G.T.500CR stood out and made an impression. 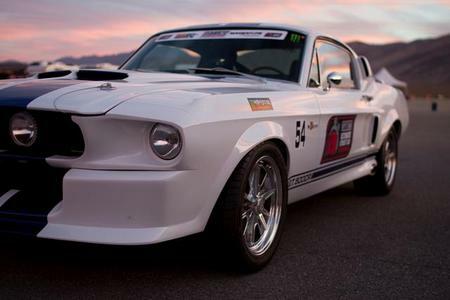 When the tire smoke cleared, the Shelby finished in the top 20 on the road course. 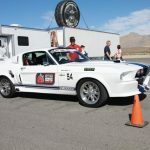 The entire Optima event, from the pre-SEMA builds to the awards ceremony, was shot for a TV show, which will air in early 2011 on a US national cable network. 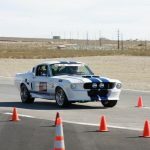 For full event results, more information on the OUSCI results, TV show, participants, official rules and more, visit http://www.optimainvitational.com/. 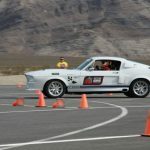 Check out the video below from the OUSCI event. 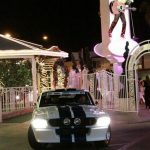 That Wimbledon White car looks amazing. I must say White on these cars looks fantastic. 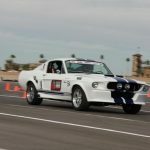 This entry was written by by Cameron (1967 Ford Mustang Shelby GT500) and posted here on Sunday, November 21st, 2010 at 1:17 pm and is filed under Uncategorized. This article was not written by us, rather gathered using RSS feeds listed here. We take no credit for this article. You can leave a response, or trackback from your own site.